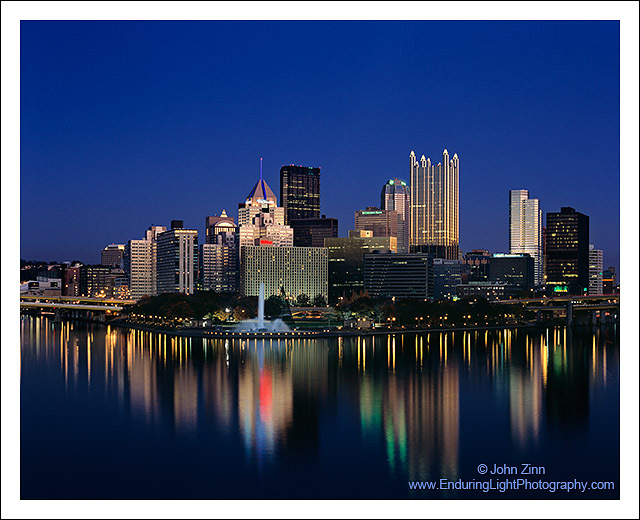 Pittsburgh is a beautiful city and I'm priviledged to call it home. On this cool crisp evening, rare conditions provided glassy smooth water with no ripples or wakes on the rivers. Under cobalt blue skies at dusk, not only does the city reflect in the Three Rivers, but the buildings themselves reflect the fading sunset glow on the western horizon.